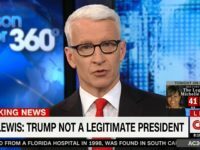 CNN’s Anderson Cooper said on Sunday evening that it “says a lot” about Democrats who are “walking around sad and crying” that Special Counsel Robert Mueller’s investigation did not implicate President Donald Trump in Russia collusion. 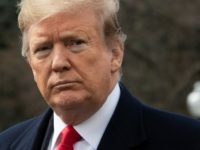 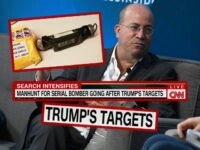 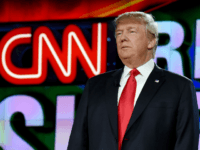 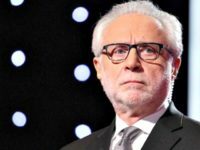 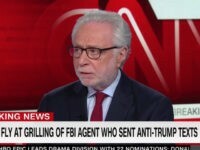 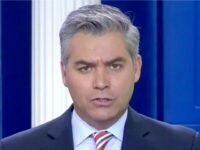 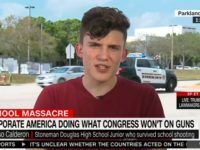 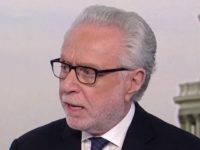 CNN personality Wolf Blitzer said Thursday that an ad about an illegal alien killer released by President Trump was “awful” and that he didn’t even want to play it on air. 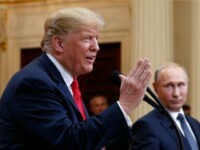 Sen. Rand Paul (R-KY) defended President Trump’s meeting with Russian President Vladimir Putin on Monday amid intense backlash from Democrats and Republicans. 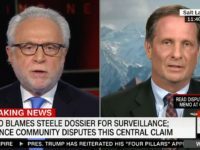 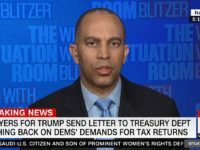 CNN’s Blitzer to Dem Rep Himes: Would the Public Want Trump Impeached If Mueller Doesn’t Find a Crime? 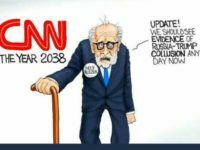 “The Fake News of big ratings loser CNN,” Trump wrote, retweeting a cartoon image of an old Wolf Blitzer searching for evidence of Russian collusion. 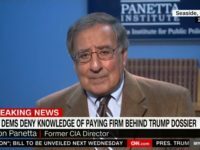 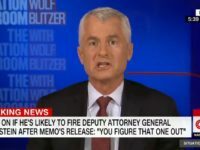 Friday on CNN’s “The Situation Room,” network counterterrorism analyst Phil Mudd warned the FBI was going to push back against President Donald Trump’s release of the House Intelligence Committee memo and further suggestions of corruption existing within that agency. 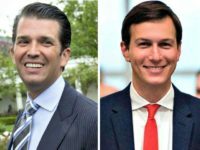 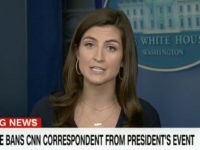 Ivanka Trump’s “special status” in Chief of Staff John Kelly’s White House could lead to President Donald Trump receiving some bad advice, according to RealClearPolitics reporter Rebecca Berg. 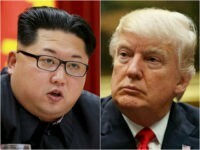 President Donald Trump paid close attention to the threat posed by North Korea throughout his career, clearly viewing modern presidents as too weak or stupid to stop it. 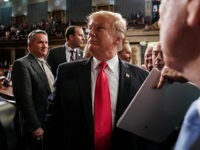 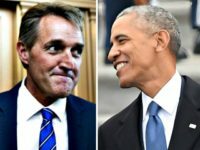 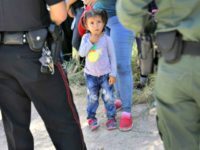 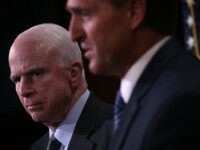 Sen. Jeff Flake (R-AZ) wants Republicans to embrace the foolish Republican National Committee’s (RNC) “autopsy” report, which was released after Mitt Romney’s 2012 loss and recommended amnesty for illegal immigrants as its only policy solution. 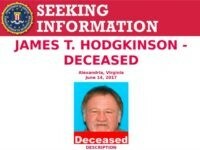 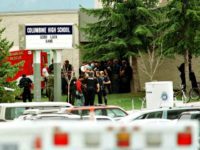 Gosh what could possibly have been the motivation of Alexandria shooter James Hodgkinson, the Bernie-Sanders-loving, Russia-collusion-obsessed liberal activist whose Facebook page boasts about his participation in the Climate March on DC, celebrates the wisdom of Neil Degrasse Tyson, “likes” a cartoon showing Steve Scalise to be in league with the Ku Klux Klan, thinks the U.S. is secretly run by the Koch Brothers, and who signed a petition with the left wing online pressure group Change.org claiming that “Trump is a Traitor. 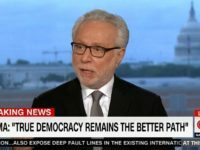 Trump Has Destroyed Our Democracy. 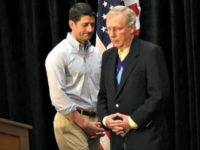 It’s Time To Destroy Trump & Co”?